New Zealand textile manufacturing has much to offer to designers both internationally and within New Zealand. New Zealand is a small country with big values, one being a dedication to high quality, well made production. In NZ manufacturing, the term “New Zealand Made”, is an emblem of high quality craftsmanship, support of local communities that keeps valuable skills in New Zealand under fair working conditions. New Zealand designers are actively seeking local manufacturers for their collections and international designers should be too. Perino yarns are a collection of innovative blends made by Woolyarns with New Zealand Brushtail Possum fibre alongside other luxury fibres including cashmere, silk and fine merino. Perino yarns have beneficial qualities in handle, performance and warmth. Designers have access to a new and unique product that will add integrity to their collections. Perino x Barkers New Zealand made collection is on the shelves at Barkers Mens Clothing this winter. These high quality, well-designed garments and accessories have gained momentum year on year. The collaboration began three years ago and its popularity this season has seen styles sell out in several colours. The colour palette of earthy tones that reflect the colour of New Zealand’s unique forests. The garments sit alongside other New Zealand made products that are a well known part of Barkers product range. General Sleep have recently released some beautiful sleep socks made with the Perino by Woolyarns Nimbus Blend. The socks are New Zealand made. Image source: General Sleep. New Zealand’s luxury pyjama brand General Sleep recently added soft bed socks made with Perino yarns to their repertoire. The socks sit alongside their hand woven cotton-linen sleep sets. General Sleep used the Nimbus blend consisting of 65% fine merino, 25% brushtail possum down and 10% silk. The socks are cosy and desirable in three soft colours – ‘Oatmeal’, ‘Sky’ and ‘Sun’. Both the yarn and socks are New Zealand made, adding to the brands dedication to high quality products with integrity. Penny Sage is dedicated to New Zealand Made design. Designer Kate Megaw is dedicated to working with local, family run businesses to support NZ manufacturing. Penny Sage is known for its slow and careful design ethos, creating pieces that the wearer enjoys for seasons to come. This is made possible by the use of high quality materials and craftsmanship. High quality raw materials including merino wool and the unique Brushtail Possum fibre are in abundance in New Zealand. Designers have the opportunity to create garments that are sourced and made here in New Zealand. In a country with approximately 3.3 million merino sheep, designers have access to luxury merino fibre that is synonymous with softness, quality and performance. Merino sheep thrive in harsh climates and terrain, mostly residing in the alpine country of the South Island. Sheep living in higher altitudes have significantly finer fibre. Inspecting the quality at the Woolyarns raw material warehouse before the fibre goes into production. Possum fur is a unique and luxurious raw material readily available in New Zealand. New Zealand has an abundance of possums with approximately 30 million living wild in the forests of New Zealand. Possums are a recognised national pest and it is integral to keep the numbers under control to protect the native ecosystems. Harvesting possums for the fur industry enables this incredible fibre to be used in fashion, homeware and activewear. New Zealand yarn engineers Woolyarns Ltd recognised the possibilities that would come by combining unique Brushtail Possum fibre with other luxury fibres. 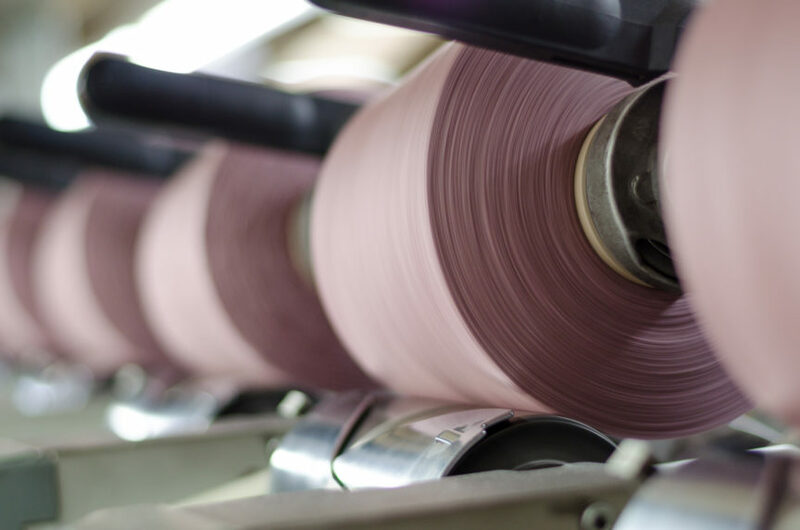 Refining possum blended yarns over the last 20 years shows dedication to research, development and textile innovation. 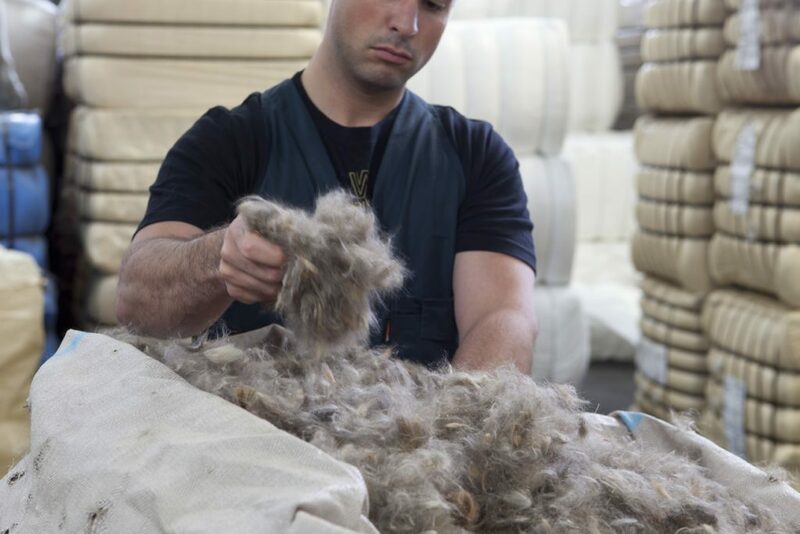 The resulting collection of the finest Perino yarn blends Cirrus, Alto and Nimbus are a testament to high quality raw materials and manufacturing. Already widely appreciated in the New Zealand market, international interest is growing, bringing Perino yarns to top fashion designers around the world. Beverley Productions is a key New Zealand textiles manufacturer, creating knitwear for a range of different customers. Beverley Productions has a range of knitting capabilities that can be utilised in small or large runs. With expertise in workwear, fashion and technical garments, Beverley Productions can adapt their technology to cate to their large range of clients. Because of their fast turn arounds of samples and re-orders, Beverley believes they can provide NZ designers a valuable alternative to overseas manufacturing. Added benefits are a transparent supply chain, fair working conditions and a close relationship to the makers. Inter-Weave Ltd is a New Zealand weaving manufacturer with a focus on flexibility, quality and customer service. Inter-weave works with Woolyarns Ltd to source a range of different yarns, creating woven fabric for transport, homewares, interiors, furniture and apparel. They believe in sourcing yarns from New Zealand where possible with a dedication to wool and other natural fibres. They proudly hold the Enviromark Diamond award and use ISO standards to monitor in house practices and ensure efficiency. New Zealand fashion and textile industries have close relationships that allow collaborations and recommendations through word of mouth. The well-known joke of ‘two degrees of separation’ in New Zealand is not so far from the truth. A Statistic New Zealand study found that New Zealand has a small-world network with high potential for knowledge sharing. This creates efficient performance in the work force. The conclusion can then be draw that within specific industries and networks these efficiencies are even more prominent. New Zealand is a close knit community with a population of only 4.5 million people. Within the fashion and textile industry, close business relationships and collaborations are common and lead to future success in the industry. Take the NZ representative quartet of Karen Walker, Zambesi, Nom*D and World who had a group show at London Fashion Week in 1999, putting New Zealand fashion on the world map. Wools of New Zealand provided sponsorship for the event, recognising the cross-marketing opportunity to present NZ wool internationally. Following this success, New Zealand fashion successes globally has been limitless. Sean Kelly, a Massey University graduate won America’s Project Runway and more recently fresh New Zealand designer Maggie Marilyn was picked up by online fashion retailer Net-A-Porter. New Zealand labour laws ensure New Zealand made products are created in fair working conditions. This adds integrity as well as quality to designer collections. Cheaper labour options offshore has seen a decline in domestic textile manufacturing. Despite this, NZ textile manufacturing is still an important part of our economy. This leads to a manufacturing industry that is based on “talent driven innovation rather than a focus on cost minimisation.” Talent driven innovation increases the quality of products produced as well as the skill sets required to produce them. New Zealand manufacturing jobs require skilled labour that is linked to higher wages than overseas manufacturers. Innovation in companies is fueled by support for staff through development training, incentives for innovation and a dedication to research and development. New Zealand work conditions are defined by employment standards that are fair and regulated. 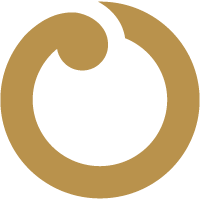 You can find more information about the legal work standards on the employment New Zealand website. The New Zealand Fur Council (NZFC) is a collective of industry partners representing the interests of the wider possum fur industry. They provide information about New Zealand’s wild fur industry, support to Possum trappers and codes of best practice including laws that the industry members must abide to. The control of possum numbers is integral for the preservation of New Zealand’s native forests, birds and other animals. Currently the most widespread method of possum control is 1080 poison drops into hard to access forest areas. This equates to just 2% of New Zealand’s national parks. NZFC works with the Department of Conservation and the Ministry for Primary Industries for further management opportunities via the fur industry. This will benefit conservation effort, contribute to New Zealand’s economy and allow more premium products with a unique backstory. The NZFC provides a best practice guideline for possum recovery. It includes details of New Zealand law in accordance with the Animal Welfare Act 1999 as well as other requirements specific to the fur industry. In New Zealand’s wool industry there are legal regulations that all farmers must adhere to. This includes compliance with the Animal Welfare Act 1999. New Zealand is well known for our large sheep population and for the high quality wool that is produced here. FTAs help New Zealand manufacturers remain competitive in international markets. They reduce tarriffs, simplify customs procedures and remove some of the restrictions around trade. This helps importers and exporters trade the products they require with partnering markets overseas. New Zealand has FTAs with many countries that have varying objectives. The New Zealand Ministry for Foreign Affairs negotiates FTAs with countries including China, Korea, Hong Kong and Australia. FTAs are integral to the growth of New Zealand made textile and fashion imports into international markets. ASEAN Australia New Zealand FTA (AANZFTA). ASEAN stands for Association of South East Asian Nations. Trans-Pacific Strategic Economic Partnership (P4). This agreement is between Chile, Singapore, Brunei and New Zealand, linking the Pacific, Asia and Americas. Could New Zealand made fit your collection? New Zealand is an innovative country with a dedication to high quality manufacturing. New Zealand law regulates fair working conditions and animal welfare. NZ designers dedicated to NZ made are making waves internationally, sharing their high quality manufacturing with the worlds. FTAs increase access to New Zealand products, enabling transparent supply chains for international brands. Could New Zealand manufacturing be right for your brand story? Get in touch via our Contact Page to start the conversation.